NHS services in Lincolnshire are still among national and international organisations affected by a ransomware attack on IT systems. The virus has affected all hospitals in Lincolnshire and led to the cancellation of outpatient appointments endoscopies, CT and MRI scans. Patients are being told to avoid A&E unless the situation is critical. The NHS has insisted there is no evidence that patient data has been compromised and that the UK’s cyber security experts are working “around the clock” to restore systems. 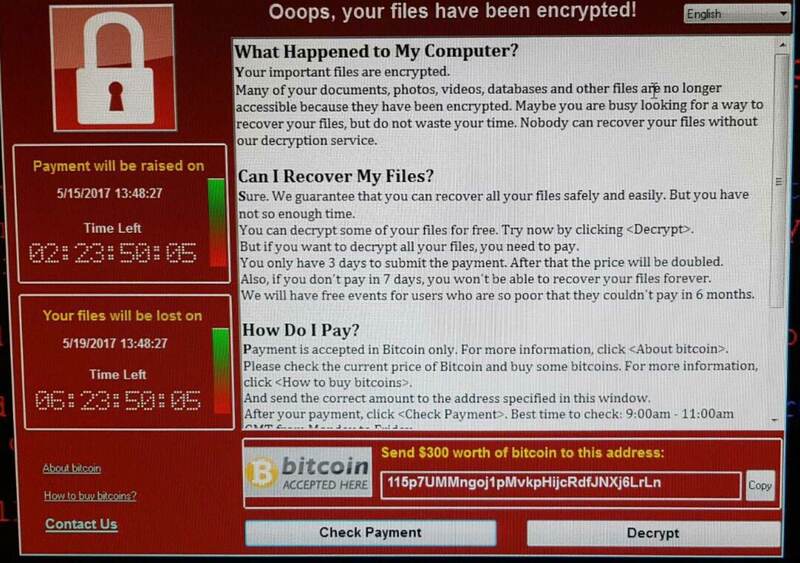 The malware used in the attack is called WannaCry and attacks Windows operating systems. Staff were faced with pop-ups stating files had been encrypted on the user’s computer, blocking them from view, before demanding money in the form of bitcoin. The message being displayed on NHS computer systems. The former director for intelligence and cyber operations at GCHQ Brian Lord has been quoted as stating the NHS is particularly vulnerable to these types of attacks because of its aging IT systems. A ULHT spokesperson said: “ULHT hospitals are still affected by the cyber attack that hit many trusts nationally yesterday. “We are asking patients to stay away unless their condition is serious or life threatening. This will help us to work through the issues and continue to provide safe patient care. “We have teams working to restore our IT systems as soon as possible. “Please do not use A&E unless it is a life-threatening emergency. If you feel unwell you should contact NHS 111. “You should visit or call your pharmacy as usual for prescriptions and minor illnesses. Please do not use urgent care services to access prescriptions. “All outpatient appointments, endoscopies, CT and MRI scans have been cancelled for this weekend. Film review: Alien: Covenant – The Xenomorphs are back!